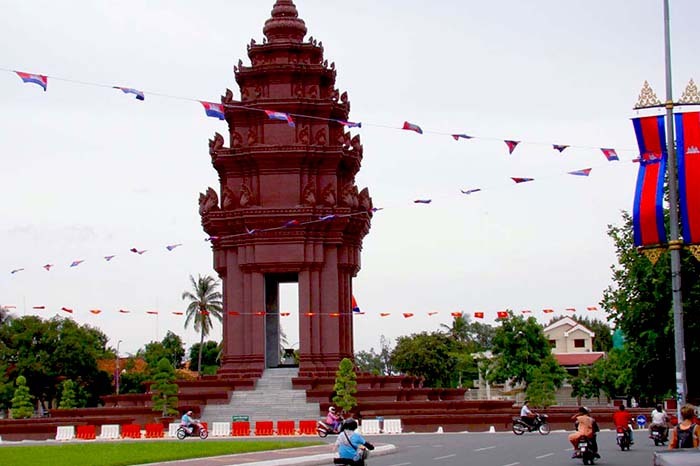 The tour offers great valued highlights of Phnom Penh Capital. 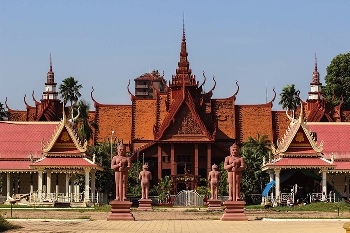 From the Independent monument, the historical Royal Palace, Silver Pagoda to The National Museum, Tuol Sleng & Chueng Ek killing field are the most shocking, tragic sites should be witnessed and get to learn more about the country. Our tour guide and driver will be meeting you at your hotel’s lobby at 8.00am then we head out of the hassle capital to take some photos of the independent monument – was built in 1958 for Cambodia’s independence from France in 1953, resume to visit Cheung Ek, known as The Killing Fields, where hundreds of lives were proceeded between 1975 and 1979 under Khmer Rouge. Return to witness Tuol Sleng museum was a former high school, which was turned to Tortured Prison S-21. Continue to Russian market for strolling around and shopping. 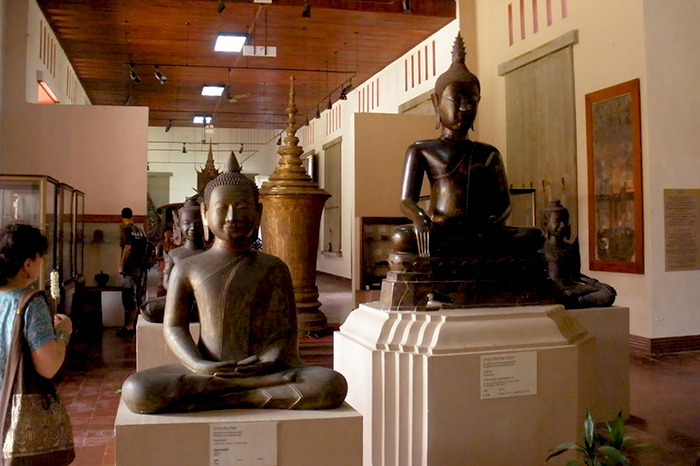 Afternoon, stroll for a guided tour at the National Museum, the world’s most important collection of Khmer sculpture and carvings, admired by the Royal Palace – is a complex of buildings which serves as the royal residence of the king of Cambodia, visit Silver Pagoda, Royal Stupas, French style building etc. 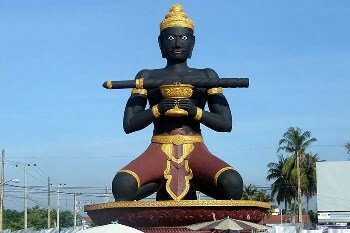 Drive to walk around Wat Phnom with interesting legendary of founding place of Phnom Penh Capital. 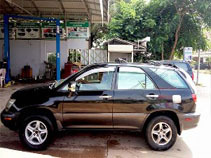 Transfer back to your hotel and end of service. 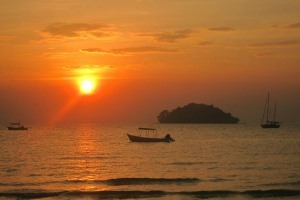 • Experienced local English tour guide. • Transportation for the whole trip. • All entrance fees for the whole trip. 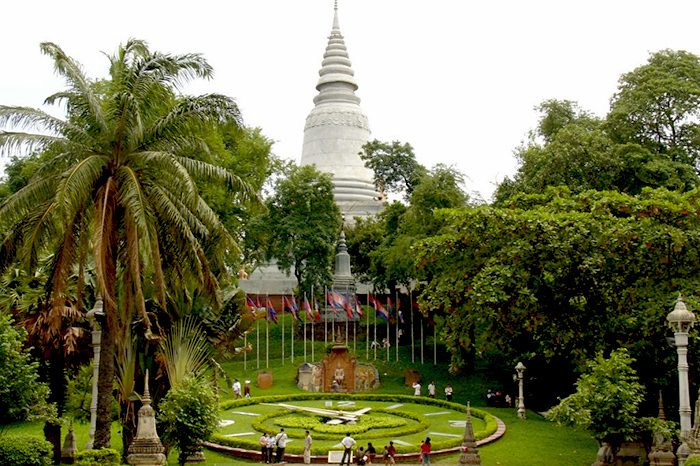 • Guide service on spots at Royal Palace & National Museum. • 2 bottled water + 2 wet tissue/day. 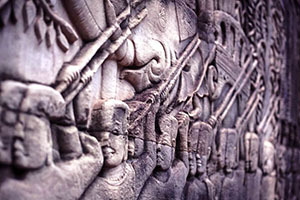 This is a private tour for you and your group only. 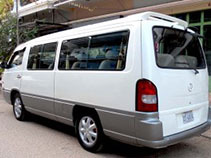 The tour is very flexible to adjust your traveling time and we guarantee there is NO hidden cost. If you have a larger group, please send email to our sale team for quotation. 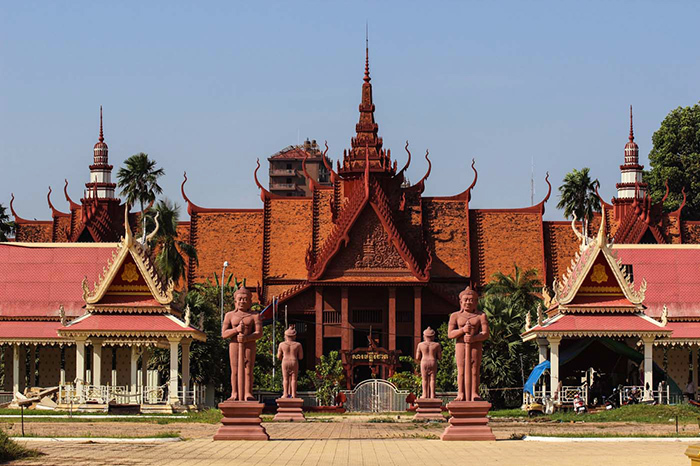 The best time to visit Phnom Penh is from November to February when the weather is a bit cool. 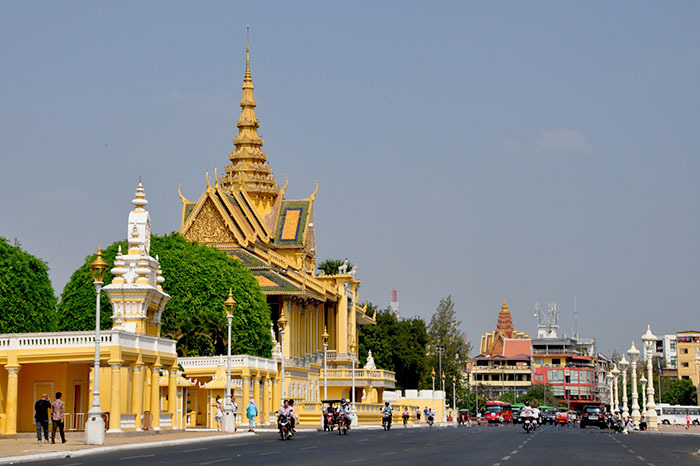 However Phnom Penh is the main capital city of Cambodia, it is always crowded. March to June is another option but it is not comfortable due to the heat while rainy season July to mid October is an alternative. Dressing code & What to bring along? 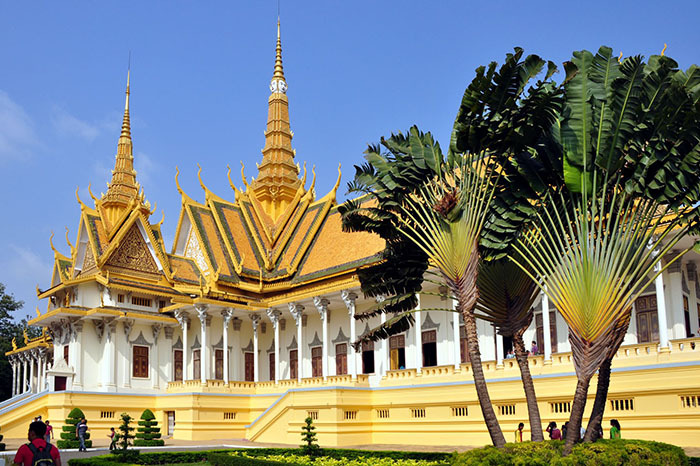 You will not be allowed to enter The Royal Palace if you don’t dress appropriately. Dressing must be appropriately covered shoulders & knees, this is to show your respect to the locals and The Royal’s Residence. Strong footwear is recommended for the tour and should bring along hat, sun cream, sunglasses and extra water to dehydrate due to humidity. Upfront payment is not required once you confirmed the trip. The payment will be settled in US dollar on the touring day before the tour starts. 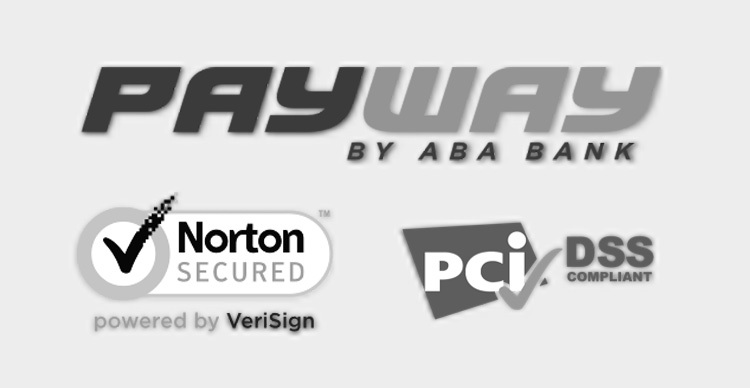 However, paying by credit card is available through our PayWay online system if you wish to pay in advance but 3.7% is surcharged as bank’s policy. Any cancellation is made less than 48 – 24 hours, 50% of total amount is charged and less than 24 hours is 100% charged, and the cancellation fee will be collected from you at your hotel. I agreed and accepted this cancellation policy when I confirmed the booking with Triple K Angkor Travel Co.,LTD. Our support will always follow you about 40-50m away behind. Inside the car, there are cool drinking water, finger snacks and local fruits to back up your energy. 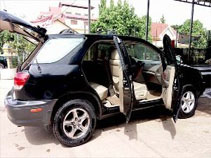 is the best suited for a couple, escape from the hit, comfortable seating and good air conditioning. 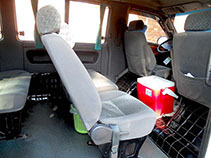 Drivers are completely licensed, qualified and able to speak basic English. 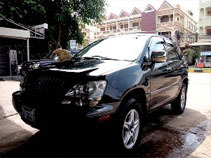 Each of vehicles has insurance covered. 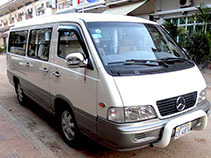 Tour guide is the clear window of a travel company, the success or failure of any tours heavily depend on the tour guide’s leading skills and so on. With these, we’ve hardly worked out and selected good reliable, experienced tour guides to join us and taking care of our customers. Our tour guides have long-year experiences in leading tourists, friendly, knowledgeable, informative, flexible enthusiastic and trustworthy. 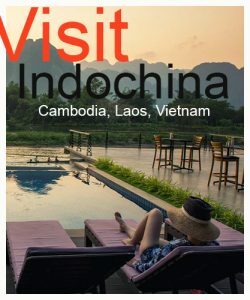 To get the best experience, a week of advanced booking is very appreciated and we’ll definitely reserve one of our top tour guides for you.